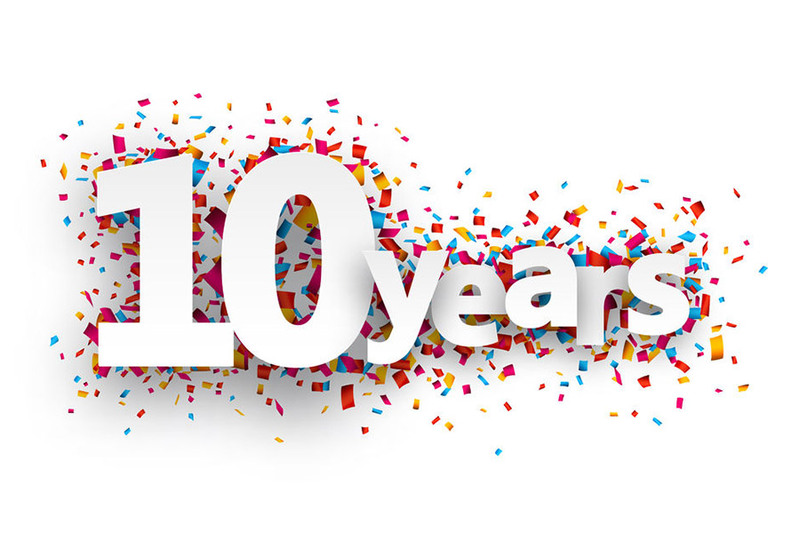 Wow, Variation Design is now 10 years old and still going strong, we have gone from strength to strength since we first started trading back in 2007 and have changed what we do a little along the way. 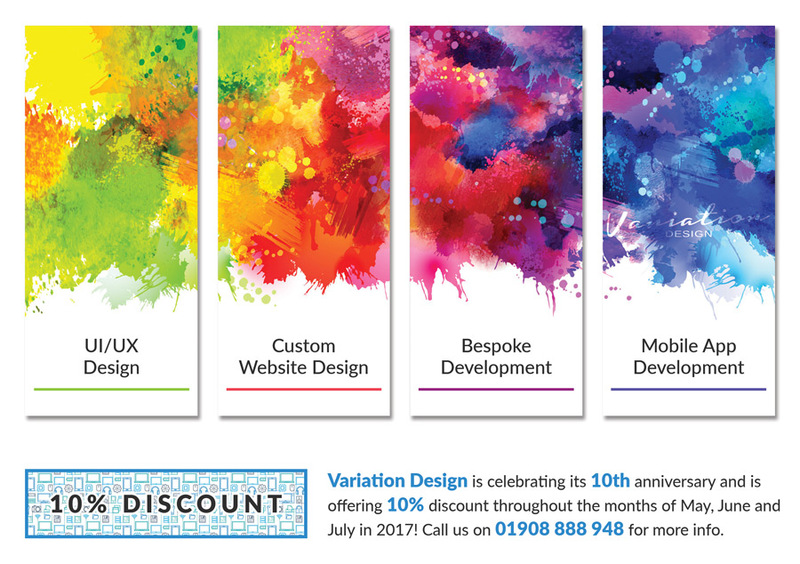 Firstly we don't normally do offers, but for our 10th Anniversary we thought we would celebrate by offering our existing and new clients a 10% discount on all projects throughout the months of May, June and July in 2017. We will work out any quote as usual then add the 10% discount at the end on the whole quote, this applies to any design or development project, big or small. Secondly, we have changed focus on the services we offer, when we first started out back in 2007, we offered a few different services ranging from graphics design and printing solutions to IT consultancy and on-site IT services. 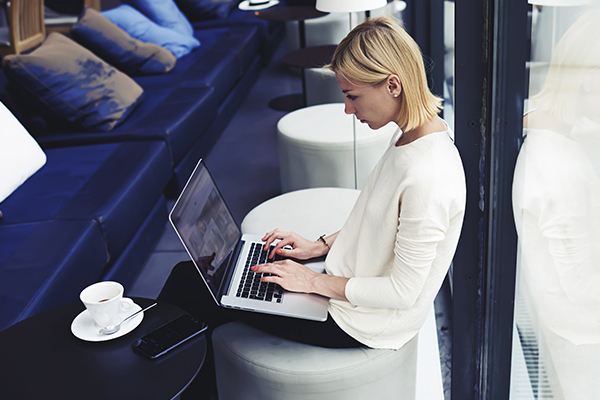 Over the years we have moved away from providing IT services, moving to more the graphics and website design area of our work. 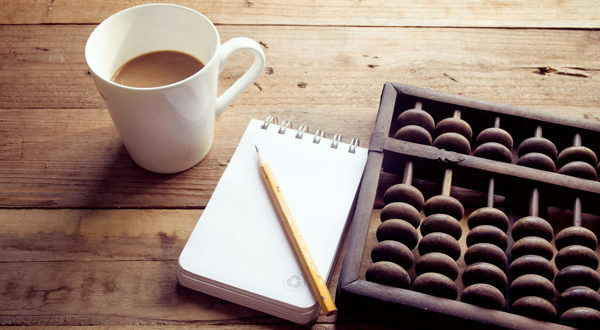 With the way our business direction is going and the requirements of our clients the last few years, we have decided to also stop providing graphics design and printing solutions as an individual service, however we still offer these services as part of our project work if required. We now offer the following services as our main business focus and introducing User Interface and User Experience (UI/UX) Design as a separate service, something we have found becoming a bigger part of our business model. We would love to hear from you about any new projects or even to upgrade or overhaul and existing project, we have the skills and experience to deliver what you want, when you want! Call us on 01908 888 948 or email us at info@variationdesign.co.uk.